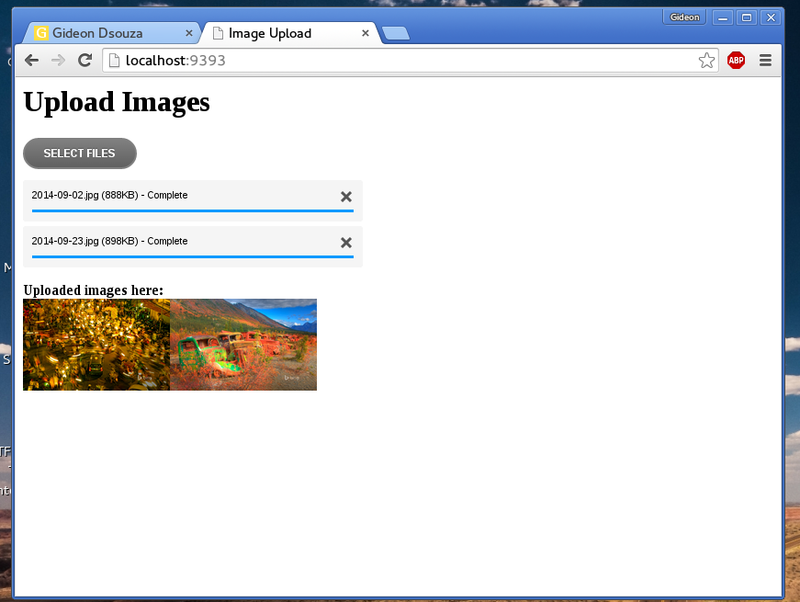 Uploading multiple images with Ruby, Sinatra and Uploadify. I’m continuing off from this article where I describe how to just upload files in a Sinatra application. It’s a flash/jquery based plugin. I’ve used it in ancient times. Yes you may still flash to gracefully degrade if the browser isn’t all that new. However, they have a paid html5 version of their library. My code uses the free library. Extract the uploadify zip into a /public folder. Inside it put an /img folder, uplodify expects the cancel button image to come out of here. #return filename as the response, the file we just wrote. The home page route ’/’ serves the form_multiple.erb file. This will use uploadify to set itself up. It will make requests to the ‘/upload’ route. In here we get the filename from params[:Filename] and the file object from file = params[:Filedata][:tempfile]. (If you want to know how I figured this out, I simple wrote “puts params” in the route, the params object then gets printed into the console and you can check out the object yourself then). I write the file into the /public folder. It can be served then from the root of the wherever this is hosted. If you notice in our server(sinatra) app we return the filename as a response, this is what the uploadify plugin will give us in the onUploadSuccess handler. All we do it append an image tag into our predefined div. If you need the whole thing in a nice downloadable package, here it is.